Welcome to our website Privacy Statement. 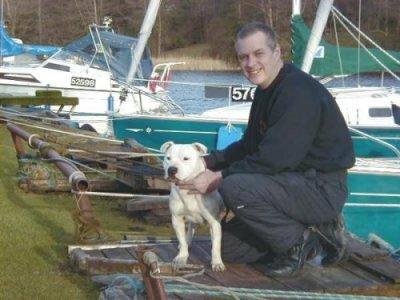 Northern Staffordshire Bull Terrier Rescue is a voluntary organisation dedicated to providing help to distressed or abandoned Staffordshire Bull Terriers. We provide advice and get information to owners of the breed and try to help where we can in difficult situations. This may be because owners are unaware of the needs of this particular breed and we can provide them with knowledge so that they can enjoy a happy and wonderful relationship with their dog. Sometimes a situation is untenable for the dog perhaps because of his owners divorce, illness or even death. In such circumstances of course we can bring the dog into a place of safety and help him to secure a new keeper. All prospective owners must be properly vetted, not that we wish to be nosey, it's just that we expect the best deal for our animals. People with long standing breed experience are always given precedence. If you feel you could offer a suitable home to a Staffordshire Bull Terrier, please contact us.